Waffles you are right, girls like chickyum. Um, maybe its just poodles like chickyum. No, I think its Poodale's like chickyum. Well THIS Poodale likes Chickyum!Oh and shiny stuff too! Congrats on the upcoming marriage of the human kids. Waffles that was very sweet. Of course, I can't see you and Katie married exactly. Truffles just said that she'll marry you, Waffles! It's the sparkle that counts! This is wrong on every level and we loved it! 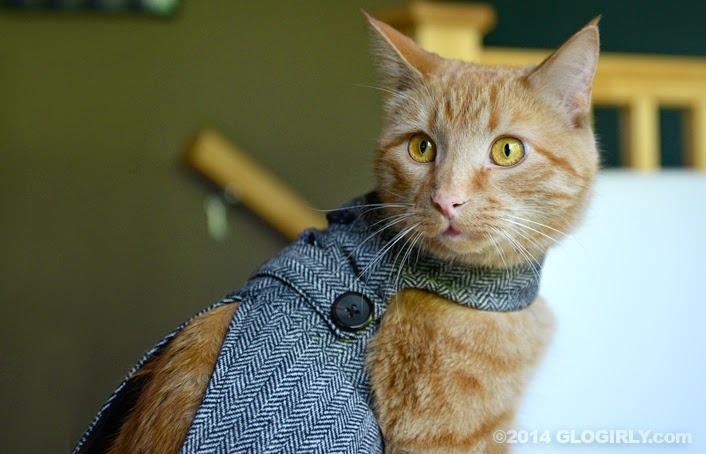 Pee Ess - Waffles looks so dapper! Waffles...dude...she's your sister. And your boss. 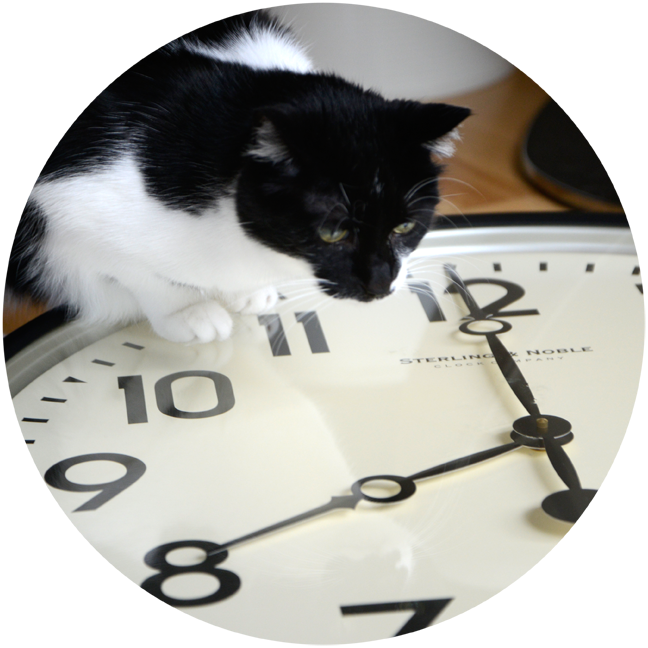 You have a lot to learn about girlcats. Katie, you got your head screwed on right! MOL! Waffles, trust me, you don't want to get married! Then you would have to do everything Katie says! 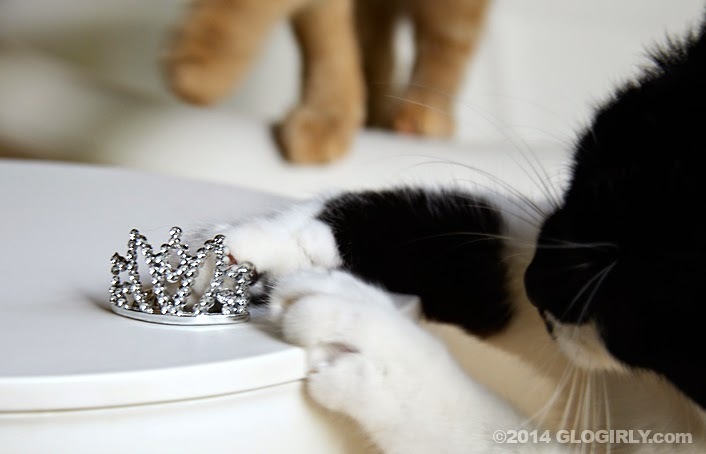 That crown might not have real diamonds but it IS purrty!! At least Waffles has good taste. Enjoy being a single mancat, Waffles. That's a gorgeous tiara you bought for Katie, but leave the marriage stuff to Gabe and Justina. Katie, the Orange Menace may be up in his sleep about getting married, but he has great taste in bling. The tiara is totally you. I wouldn't wear it to the wedding, because you'll take all the attention away from Justina, so save it until the reception. Poor Waffles, you really do try hard. Waffles, buddy, we don't see you getting married to Katie, ever. But maybe she'll let you try on that crown. 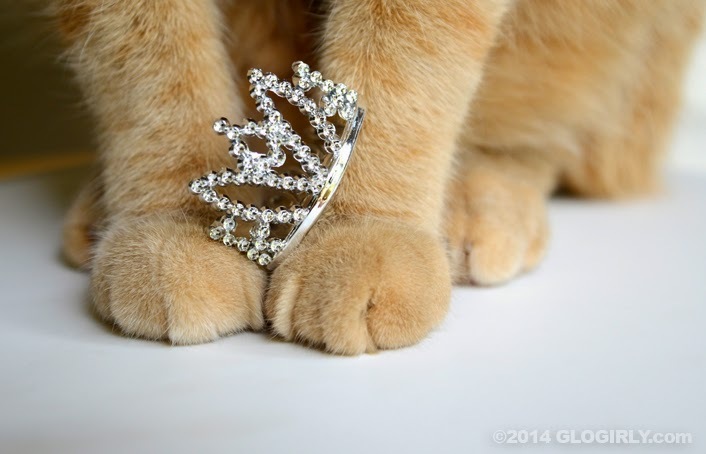 Keep the crown, lose the orange, MOL! Is Katie looking away now? Psst, Waffles, that was too cute! Don't worry Waffles...someone out there would love to marry you (just not Ivy - she has enough orange menace in her life already). Katie, just marry him being that you live together anyway. THAT is the single most adorable cutest blog ever!! Aw but it would so pretty on you Katie! Oh and Waffles, I think you look great in that little outfit!! Oh, Waffles, you try so hard! You are sooo sweet! 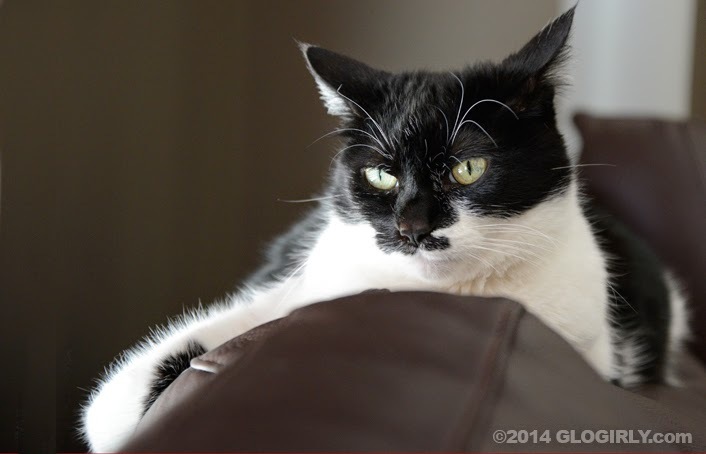 Maybe you need another tuxie girl?? I live close, too! 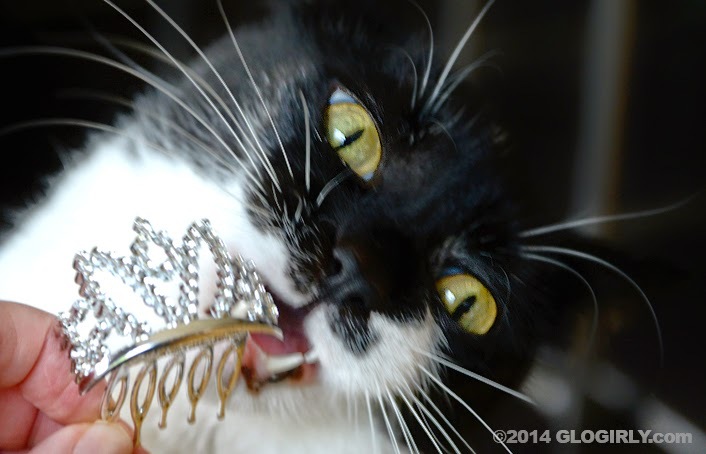 Oh, Waffles, who could resist that diamond studded crown? Awww Waffles..you are such a sweetie.. Girls like diamonds and stuff. And chicken. LOL--this made us smile. Oh Katie we hope you tried the crown on! We bet you'd look very regal in it! What a great story! Love the herringbone coat too! Waffles your heart is in the right place. You look pretty dapper in that coat. WAffles, you don't want to marry your sisfur. Go for some hot babe, a tortie or calico! Comon Katie give him a little fur trying. That quarter would have gotten a quarter bag of treats after all. Congrats to GloGirlys Stepson! It's gotta be real bling cos Katie's got class. She's also got a mancat. Waffles that was a wonderful gift you got. We love your crown.